Exclusive British Motor Show access | What Car? 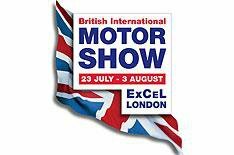 Members of the public can attend the opening press day of this year's British International Motor Show by buying a special 100 ticket. The opening day of the show is usually restricted to members of the press, but organisers have decided to release 500 special tickets to allow members of the to public see the new and concept car launches. New models already confirmed for the show include the Vauxhall Vectra replacement, the Insignia, and the Lotus Eagle. The press day for the Excel-based event is on July 22.